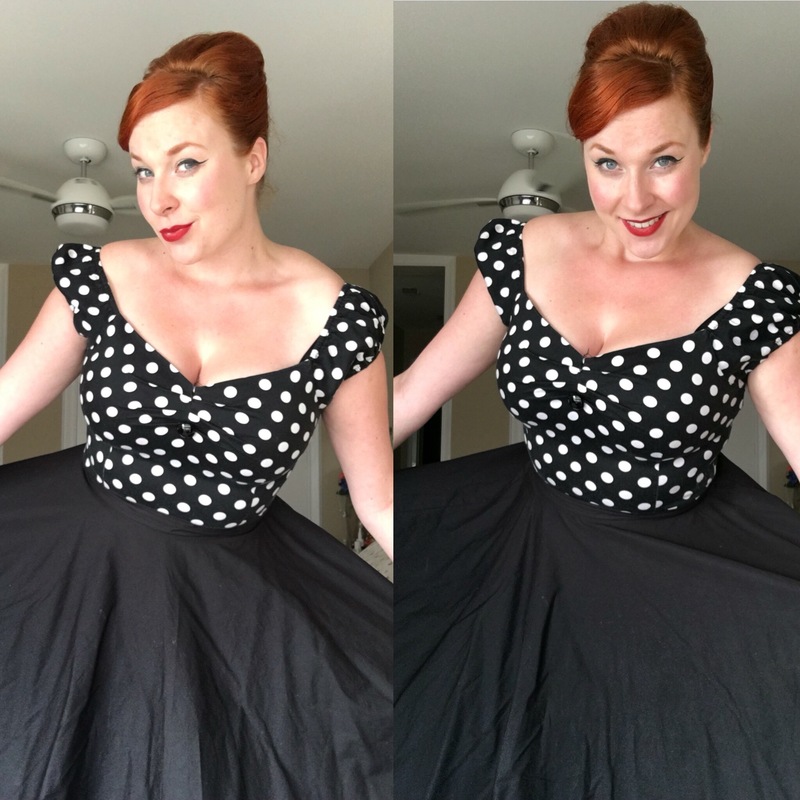 I always get lots of questions about how I started my wardrobe, how I built my own pin-up/vintage/reproduction collection. Well, this went gradually and ended in an addiction. But there are definitely ways to start your very own collection, by buying some vital and great pieces that I have tested and loved for a long time, and that is just what I’ll be showing you in this new subject on my blog, ‘Miss Ginger’s Must-haves’. 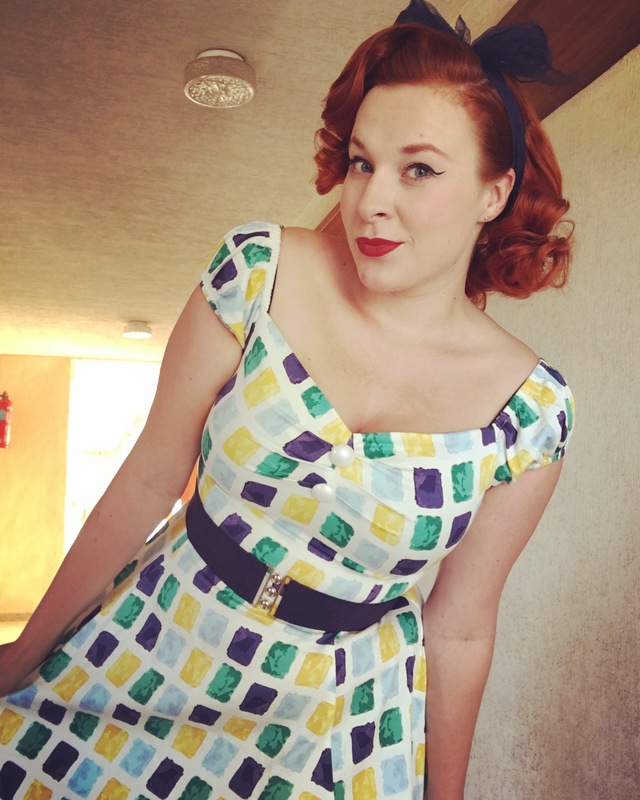 If you have followed my blog or Instagram before, you will know that I am a HUGE Collectif Clothing fan. They never seem to disappoint me with their collections and their quality. 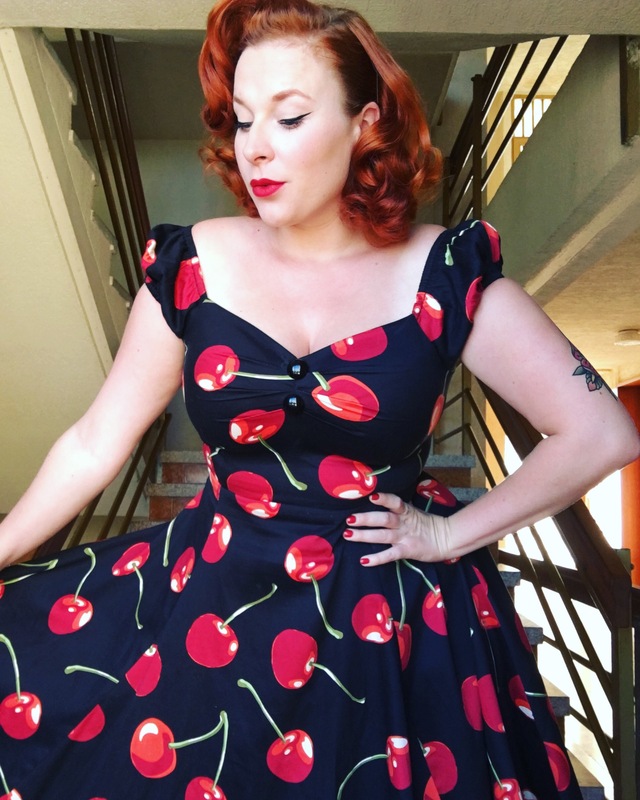 Collectif for years has been producing the Dolores range, in dresses as well as tops. Recognisable by their Carmen shaped puff-sleeves that can be worn on- and off-shoulder and signature buttons on the chest, these dresses and tops go well with every bodyshape and size. If you want an amazing fit, good quality and a sprinkle of bombshell, this is the style for you. I personally own around 5 tops and 5 Dolores dresses and there is always room for more. These dresses are what I grab when I want to feel comfy and look vavavoom at the same time. 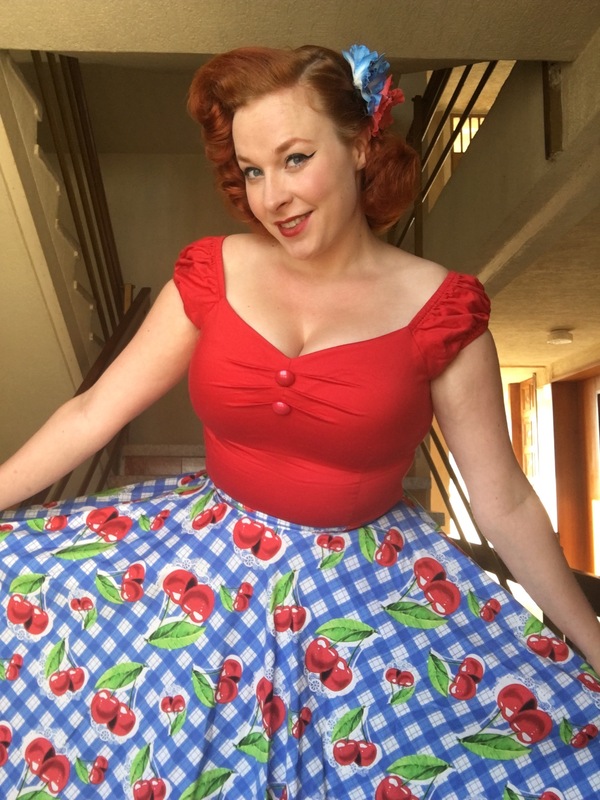 The tops are amazing to pair up with your favourite skirt, pencil or swing. They come in so many sizes and plain colours, polkadot prints and every season there are limited edition tops with prints only available that specific season. Go check out http://www.collectifclothing.co.uk to find your inner Dolores!